If you cannot arrive by August 21st , we also offer late move-in on August 22nd from 1 pm-7pm by appointment only. Please inform us immediately if you will not be arriving by August 21st. International students who will live on campus are scheduled to move into their residence halls earlier than other student groups. This allows for attendance at special events, including International Student/NSE Orientation, and provides extra time to adjust to campus. 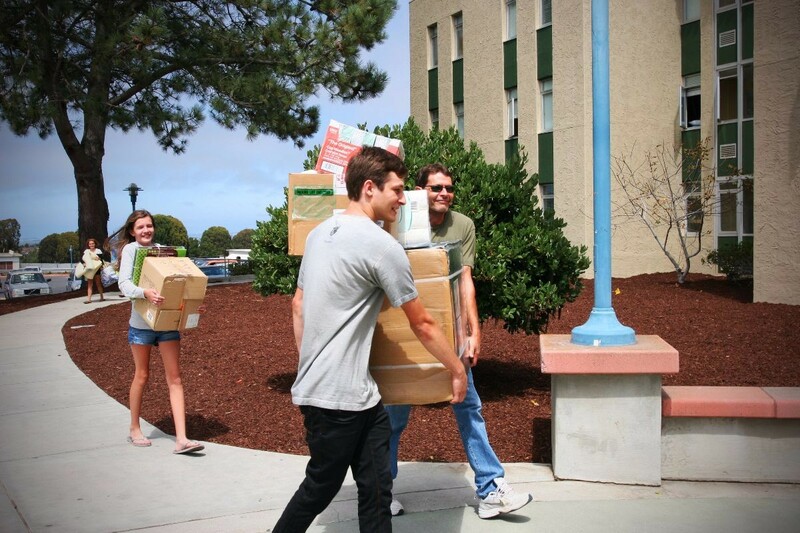 Please note that if you arrive earlier than the housing move-in date, ( prior to January 16th) you will not be able to check in to your on-campus housing accommodations. If you have legitimate reason to arrive earlier than January 16th, please notify us as soon as possible, because your housing contract begins on the housing move-in date, and your room will not be ready to move into until that date exactly. If I am arriving on my own, where should I go? Students who arrive to campus on their own should report directly to the Student Center (Building 12) that is next to Starbucks, at the designated time on the scheduled move-in days. Student volunteers will greet you and assist you with housing move-in. You are also welcome to stop by the International Programs office (Building 201, Room 207) between 8am-5pm for more information or help. This will be your first chance to experience everything CSUMB has to offer! Orientation provides valuable information to ease your transition to campus and life in the USA. All new international students in F-1/J-1 status (including transfer students from other U.S. schools) and National Exchange students are required to attend mandatory orientation sessions. Bring your passport or state issued photo ID. Please bring enough US dollars to pay for meals for the first 4 days of your stay. Only a few meals will be provided during orientation and students will be responsible for all other meals. You will have an opportunity to pay tuition/fees and shop at the campus bookstore, so we suggest bringing your preferred method of payment with you, unless you have chosen to make your payments through Flywire (recommended). You will receive orientation materials and a name tag when you arrive at housing check-in. This name tag will serve as a ticket to your free dinner, contains critical information about orientation sessions, housing assignment and CSUMB username card process, and contains important safety information, so it is mandatory that you wear this name tag through the duration of orientation. If you are staying more than one semester, you will need to provide proof of immunization before your second semester begins. If you have already have proof of immunization, it will be easiest to bring this with you when you arrive. You are welcome to invite your family to our orientation events, and you may indicate this on your registration. Your family members will be responsible for arranging their own transportation and accommodations. If you arrive in Monterey before your scheduled arrival date, you will not be able to check in to your on-campus housing. You may choose to stay in a hotel at your own arrangement and cost. To search for the best hotel or hostel options, please visit: hostelworld.com, hotels.com, or any other online provider. If you experience delays beyond your control on your day of travel, please let us know. We will try to assist you with a later move-in time, alternate transportation, and hotel arrangements (at your cost) if necessary. You can call or leave a message at +1 (831) 582-4778. Please speak slowly and give your name and new arrival information CLEARLY!